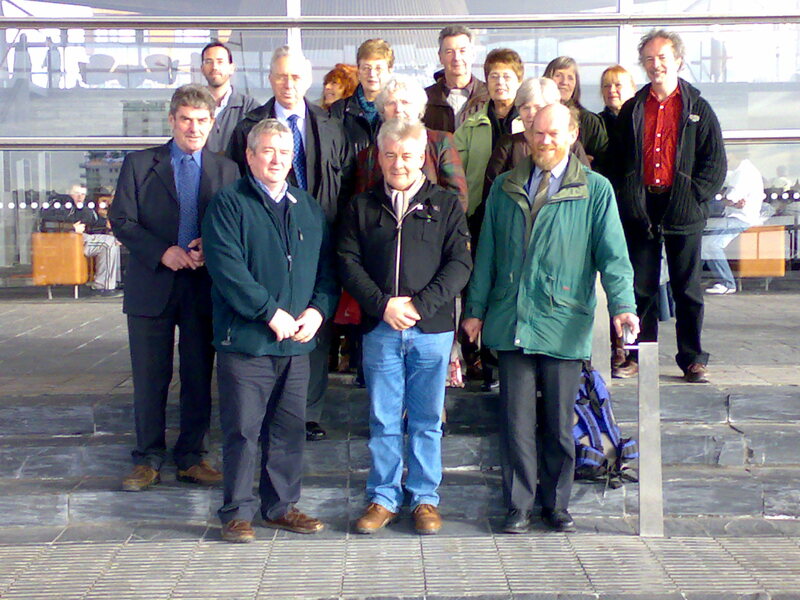 Fifteen members of Carno Station Action Group travelled to the National Assembly on Wednesday November 14th to see the Minister of Economy and Transport answer questions on plans for Carno Station re-opening. The Deputy First Minister, Ieuan Wyn Jones, was being scrutinised by the Enterprise and Learning Committee on his responses to their recommendations following their hearing in Carno. One of the key recommendations of the Enterprise and Learning Committee was that Carno Station Action Group develop and submit a formal business case with support from the Minister’s officials. However, the Minister’s view was that it was the rôle of TraCC, the Mid Wales Transport Planning Consortium, to develop business cases for transport infrastructure and he replied that Carno Station Action Group could best contribute towards this process by working with them. The Minister confirmed that the selection of Talerddig rather than Carno as the passing loop site for the hourly service would not prejudice the re-opening of the station at Carno at a future date. 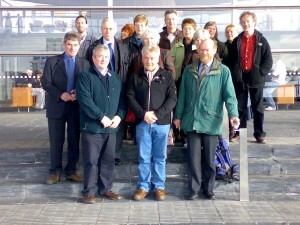 Members of the Committee were concerned about the high costs of new stations and queried whether the standards called for in the Department of Transport publication “New Stations – A Guide for Promoters” were appropriate for Wales, in view of its unique commitment to promote sustainability. There was recognition of the danger that setting unnecessarily high standards for new stations would price many of them out of existence altogether.